Mumbai’s need of electricity is typically around 3 GW and out of this roof-top solar installations can make around 1.72 GW of energy, said 'Estimating the Rooftop Solar Potential of Greater Mumbai. MUMBAI: Mumbai and its suburbs have potential to harness solar power to generate as much as half the electricity consumed through rooftop solar photovoltaic installations, a report based on a first of its kind of study in the country has suggested. Mumbai’s need of electricity is typically around 3 GW and out of this roof-top solar installations can make around 1.72 GW of energy, the joint study- 'Estimating the Rooftop Solar Potential of Greater Mumbai' -carried out by five organisations National Centre for Photovoltaic Research and Education (NCPRE), Centre for Urban Science and Engineering (C-USE) at IIT Bombay, Institute of Electrical and Electronics Engineers (IEEE), Bombay Chapter, the Observer Research Foundation (ORF) and Bridge to India has shown. “The National Solar Mission of the Government of India envisages an ambitious target of 100 GW of solar energy to be installed in the country by 2022. Of this 100 GW, it is planned that 40 GW would come up on rooftops across the country. 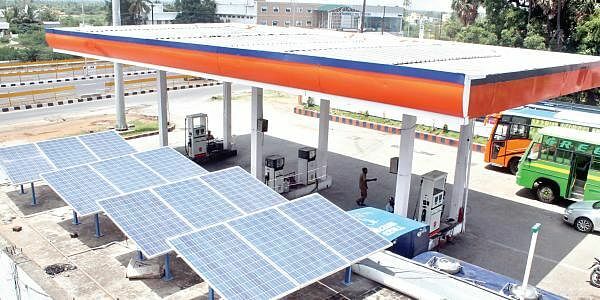 The report published on Monday is a step in realising this target,” said secretary of the Ministry of New and Renewable Energy (MNRE) Rajeev Kapoor, as he released the report. “Problem of rooftop power generation in India is not that of technology. It is about inertia of the companies operating in the field. Hence, this report would help not only the government, but the private sector as well and has a potential to be used as a ‘ready reckoner’ for solar capacity,” he added. While measuring solar power potential of Mumbai, a newer, easier method to measure the potential too was evolved, which can be used to measure solar power potential of other cities. The team employed a variety of inputs and techniques, include GIS mapping of all structures in Mumbai, ward-by-ward division, existing land use (ELU) maps of BMC and 3D mapping to discount areas covered by shadowing. The computer-based analysis was supported and verified by site visits to some locations and discounting of ‘weak’ structures which would not support solar panels. The study also revealed that Mumbai makes an ideal city for rooftop power generation as the city’s power demand peaks during the afternoon when the solar power potential is maximum.